This is the Brookland area. Once called “little Rome” because of it’s proximity to Catholic University, today it boasts an everchanging demographic. Largely a single home community with wide tree lined streets and stately colonials, Brookland is also experiencing an increase in restaurants and neighborhood watering holes. The former site of Colonel Brooks Tavern will be the site of shops and over 200 apartments. I’ve handled so many transactions in Brookland that it almost feels like home every time I visit. Clients all agree that the move to this area was a wonderful choice. Sidewalks, parks and “mom and pop” shops provide the framework that surrounds the area near the Metro Station. Building continues and strangers are becoming neighbors on a weekly basis. 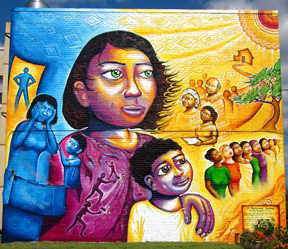 The Brookland Cafe sports the wonderful mural, titled “Domestic Violence Awareness” by a local artist, Joel Bergner, that attracts visitors from all over the area. It was begun in 2010 and was just completed in the fall of 2012. There are two metro stops pretty close to this neighborhood. One is the Brookland/CUA station and the other is the Fort Totten station. If you are in need of a Zip Car, there are many locations in and around American University. Once you reach the main page (Zip Car Locater), use the find cars by location drop down menu and select DC- Catholic Univ Brookland and you will see all of the nearby locations. Capital Bike Share has a couple locations close to the neighborhood as well. Prices are advertised being under $100 for an annual dues. Most of the restaurants and bars servicing Brookland are located aon and around the 12th St NE and Brookland Avenue area.. Groceries can be purchased at the close by Yes Organic Market, .Franklin Market or Shindlers. There is also a Costco down at the southern end of South Dakota Avenue. One treat that must be visited is Menomale. 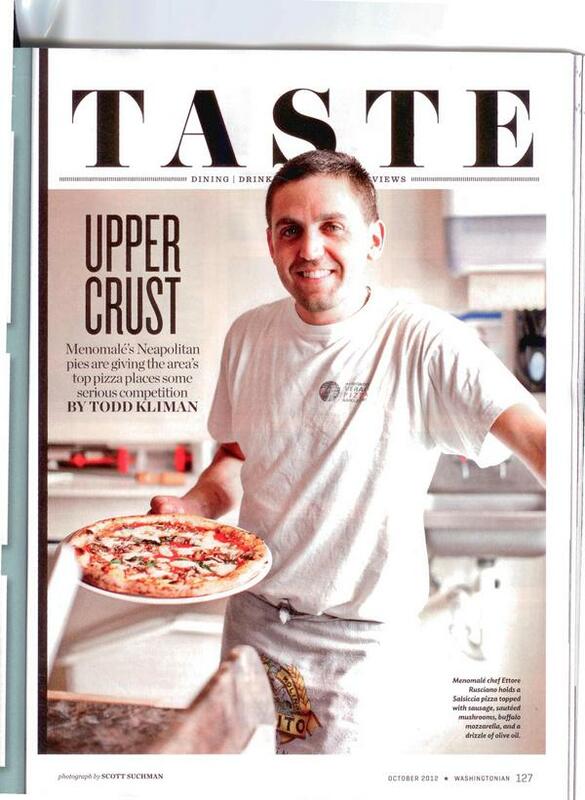 They recently were featured on the front page of the Washingtonian Magazine. Big time pizza has arrived in “.little Rome”. If you are just visiting, enjoy your stay. 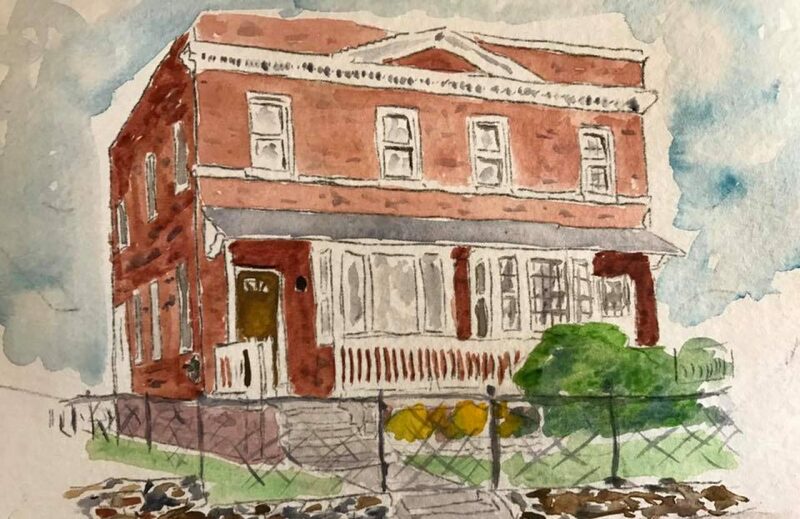 If you are interested in buying a home in the Brookland area, please visit Homes for Sale in the Brookland area. A Brookland resident talks about living in Brookland. Should you have a question, contact me and I will get you an answer.